[FanAccount] Kim Hyun Joong (김현중) - non-fan praises are always daebak! 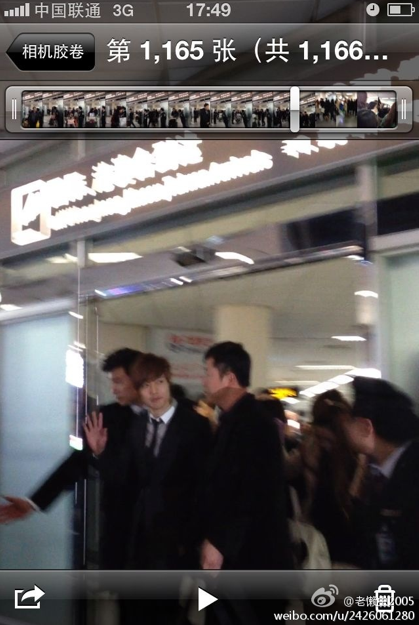 He just reached Shanghai a few hours ago to perform at tonight’s fashion show. 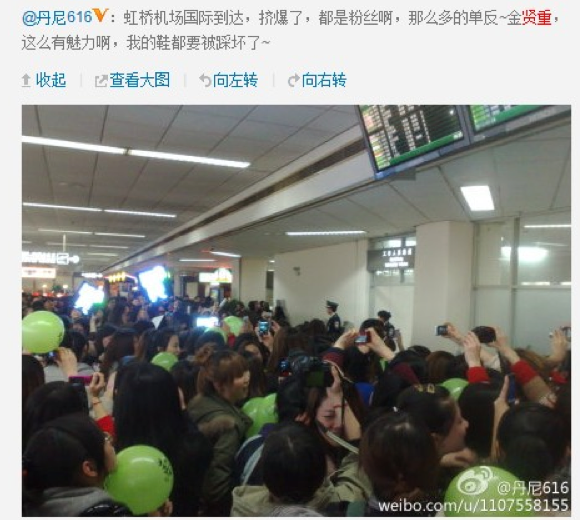 The great thing is, the turnout at the airport to receive him was amazing, but the crowd crush when he appeared was crazy -apparently the huge crowd surged forward and it was pretty chaotic, he was pushed and jostled and groped and people were stepped on etc, someone on Baidu also said that they even heard a korean lady on his team swear because of the chaos… I do hope everyone didn’t get any scratches or wounds…..
a vid of the chaos that descended when he arrived….. *note, remember to turn the volume down before you press play, you don’t want the neighbours to think you’re murdering someone LOL! Anyhoo, since I’m in translating mode, I thought I should also translate these comments by…….. male Hyun Joong fans!!!! Yeah, uh-huh, the boy has male fans, woot~!! There was a brave male soul who decided to open a thread on baidu forum declaring his liking for Hyun Joong (in a purely heterosexual way, of course! -> erm, i hope!!!!! kkkk). 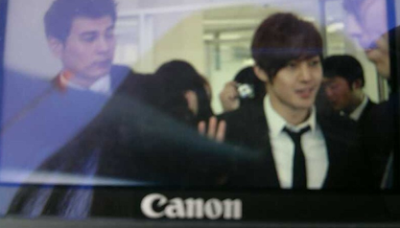 Then, another male fan jumped in to also state how he started liking Hyun Joong, and why. *note: Male fan 善解多愁兮 who started this thread will be called MF1 (male fan 1); Male fan 叠水河才子 who also started commenting will be called MF2 (male fan 2), third male fan 无尽的休止符の. There were a lot of comments from other female fans, but since there are 5 pages worth of comments (! ), I’ll just translate the male fans’ comments, and some female fans’ comments. MF1: “My girlfriend likes him, after I know about him now I understand it, I feel very embarrassed now, back to submarine mode (<- internet speak 潜水党: someone who does not post on forums and just reads). Well, just to say that my liking for Hyun Joong (and Jeremy Lin!) really stem from the fact that they are kind, manly, straightforward, hardworking, great attitude, not giving up even in the face of adversity, humorous & kinda goofy (and with Jeremy Lin, I love that he’s such a great Christian guy ^^). Glad that there are still such men out there, props! Let’s keep kindness and sincerity in our hearts and actions towards others too, ‘kie! Be shining beacons of the Lord ^^ Have a blessed Sunday, everyone!